Homepage»Ghoomna»Worried About Travelling Solo? Check These All-Women Travel Gangs! 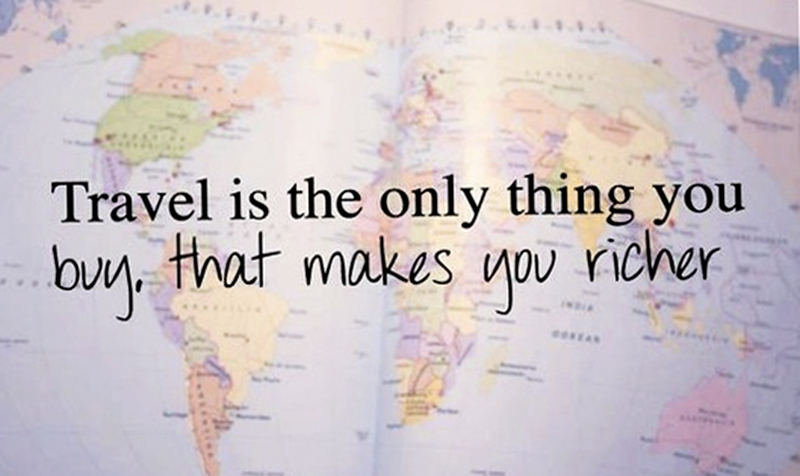 Enough depending on the guys to make a travel plan. Now is the time to go solo! Trust us, being on your own when travelling is not only an enriching experience but also makes you a much more self-reliant and confident person. Plus, it’s good to take some time off at times and just be yourself! Why you need to go an all-women trip? Besides being ‘safe’ as its all-women, there are so many more reasons why you need to plan a trip right now! Here are the top 3 groups you can get in touch with! 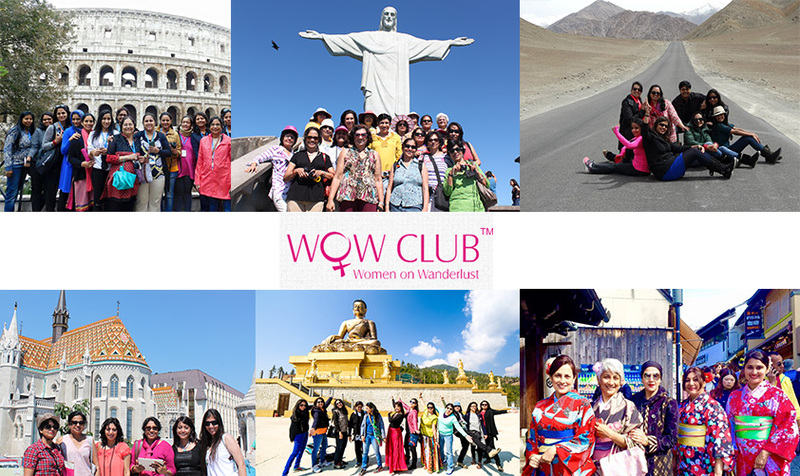 The WOW Club plans trips all around the year for all kinds of women travelers. From Valley of Flowers to Tunganath and Chandrashila; to Yol Valley in Gobi desert, they keep their travels diverse to suit everyone’s fancy. This club also organises road expeditions like the Trans Himalayan Road Expedition and Arunachal on Wheels every year. Women on Wanderlust was started in 2005, by Sumitra Senapaty, who herself is vivid traveler. BTW, they organise international trips as well, ranging from wildlife safaris to Kenya and South Africa to cultural excursions to Europe and Uzbekistan. They will add Cuba, Madagascar, Namibia, Colombia and Antarctica (yes the thanda penguin land) as new destinations in 2018. USP: They go to lengths at customising their trips as per the location. How about wearing a Kira in Bhutan or Kimono in Japan? Yeah that’s what! Women on Clouds originated with the idea of helping women enjoy their individuality and freedom, and believe that it becomes easier for women to share their life experiences with other women and learn from each other. 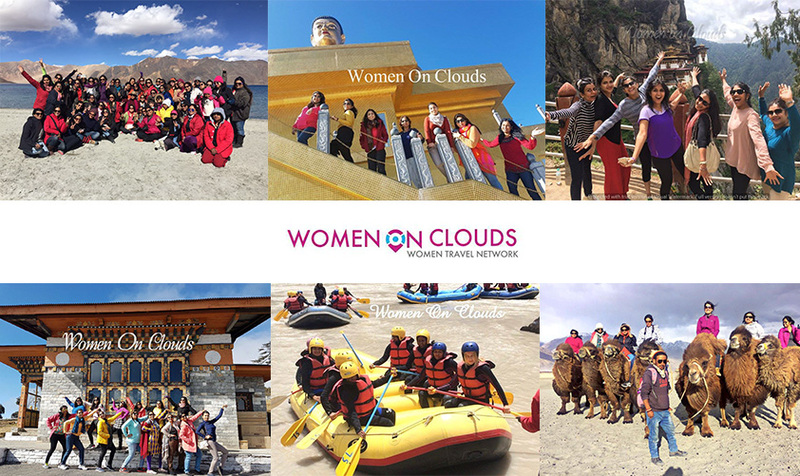 It was in 2007 when Shireen Mehra decided to start Women On Clouds after going on an all-girls trip with her girlfriends.They arrange for both national and international trips and designate a female coordinator for the group on board all through the trip. For night journeys, a male coordinator is also assigned duty with the female one. Plus, to ensure safety, they arrange for point to point travel and like to engage local guides for authenticity of information when travelling. Nationally, their most popular trips include the ones to Ladakh and North East India, while internationally, trips to South America, Turkey, Greece, Europe , France, Switzerland and Scotland are most sought after. 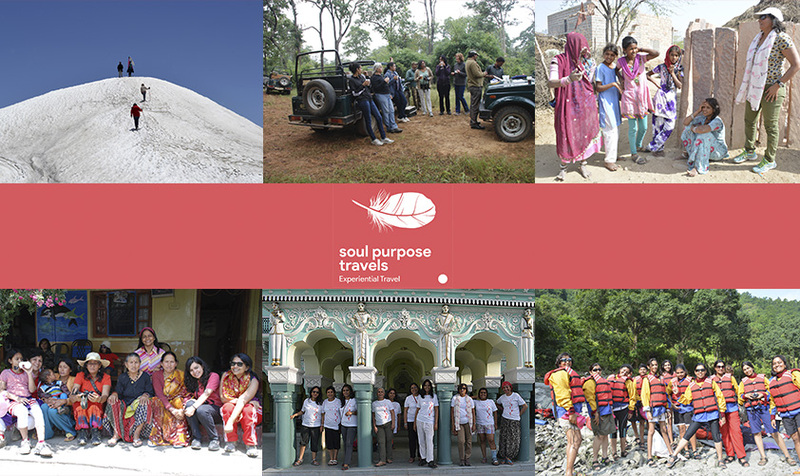 A woman-led experiential travel company that specialises in off beat destinations, Soul Purpose Travels offers just the right mix of adventure, culture and local flavour. Each of their trips are aimed at bonding within the group and the local culture of the place being visited. Founder Vidya Deshpande has been travel junkie all her life. Having an experience of 25 years behind her (an ex-journalist), she has travelled all across the country for work and now is a food and travel writer for many leading newspapers and magazines. They build their trips around a range of activities from adventure (trekking, rafting, diving, birding-watching, wildlife safaris) to gourmet experiences, history & culture trails, photography and much more. USP: Exploring lesser-known places, adding extra dimensions to holidaying by understanding and bonding closely with local cultures.